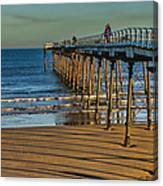 View From Saltburn Pier by Trevor Kersley - 8.000" x 5.125"
View From Saltburn Pier art print by Trevor Kersley. Our prints are produced on acid-free papers using archival inks to guarantee that they last a lifetime without fading or loss of color. All art prints include a 1" white border around the image to allow for future framing and matting, if desired. 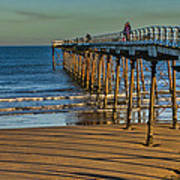 There are no comments for View From Saltburn Pier. Click here to post the first comment. Saltburn�s Victorian pier was the first iron pier to be built on the North East Coast, is the most northerly surviving British Pier and the only remaining pleasure pier on the North East coast. 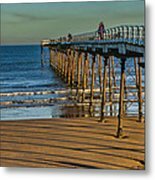 Built in an exposed position and facing due north into the cruel and unforgiving North Sea, the history of Saltburn Pier tells a tale of survival against the elements. 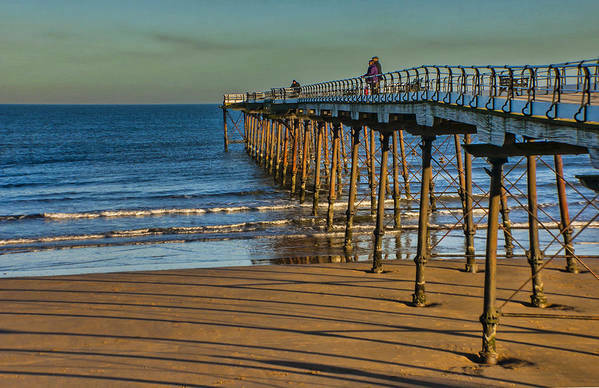 The pier was commissioned by the Saltburn Pier Company in 1867, designed by Mr J Anderson and completed two years later, opening in May 1869.